Earlier today, the Education Department updated the earnings data on the College Scorecard -- and in the process, deleted some valuable detail off the consumer website designed to help students and families make informed choices about where to go to college. For starters, the Department got rid of the contextual information included for some key metrics: net price, graduation rates, repayment rates, and typical earnings. 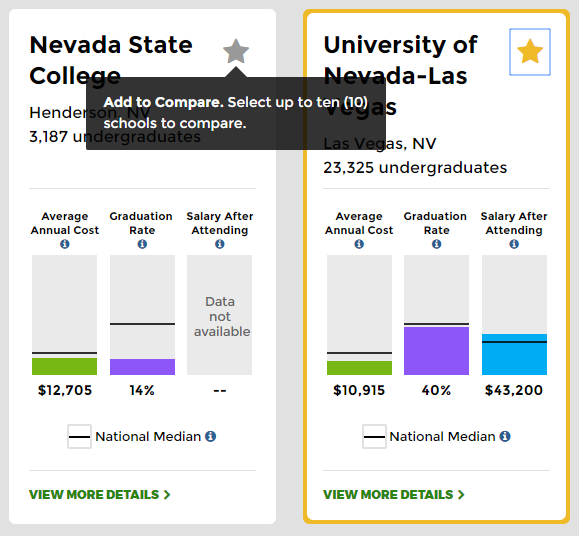 Before this change, the Scorecard visually showed whether a college’s costs and outcomes were higher or lower than the national median on that metric -- a quick heuristic to help students gauge the school’s outcome on that metric is good or bad. It also listed a college as “above average,” “about average,” or “below average” to indicate which third the school fell under. As of today, the Scorecard doesn’t include any indicator of the school’s performance relative to other institutions -- not even a simple line. 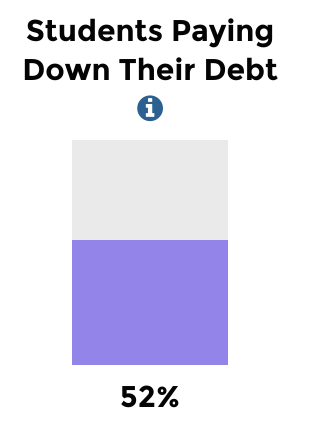 A student looking at a 52 percent repayment rate (like in the image below) would have no way of knowing whether that rate is good, bad, or ugly. She probably wouldn’t know that a school where barely half of students can pay down their loans fully three years out of college is actually the norm -- though in reality, thousands of schools have repayment rates even lower than that. And that’s the second reason this change is significant. It comes only a week and a half after the end of the comment period on that gainful employment rule. The Department’s proposal hinged on its promise to replace accountability under the gainful employment rule with transparency through the College Scorecard. Changing what that transparency looks like--less than two weeks after ending a comment period on the matter--suggests the Department is moving the goalposts now. 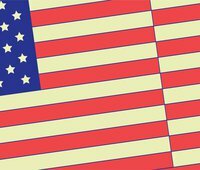 On top of this change, the Department also removed one of two earnings measures on the tool. The first measure (the share of former students earning more than the typical high school graduate) was ditched in favor of solely the second one (a median earnings measure), which is in some ways less useful to users. And since the Department dropped the comparison point on the median earnings figure, even that won’t be as useful or comprehensible to consumers as it once was. It’s great news that the Department has continued to update the College Scorecard--and that, by all accounts, it plans to continue doing so. But updates to the site should come in the form of better, clearer information to consumers, not less transparency or harder-to-parse information. As I recommended in my own comments to the Department, it’s critical to “[e]stablish a reference point for outcomes data on the Scorecard,” because “[r]esearch has shown that comparative information is more effective as a disclosure than information provided in a vacuum.” If the Department has any hope of promoting efficient and informed college choices with its transparency efforts, it will need to give students the cues they need to navigate a complex marketplace. These changes won’t help.